Happy Easter! What a beautiful day we are having here in Panama City, Florida for this Easter Sunday! Even though I am at the studio working I want to take a moment to give thanks. I’ve been blessed with a very supportive husband and family, even though I could not be with them today for Easter lunch, . For my friends that call and pick me up with I’m overwhelmed with work letting me know that are thinking about me, and you know who you are, . For my clients who are the BEST clients anyone could ever ask for, BUT most importantly for Jesus who I love and look to for spiritual support. This is not to be a religious post, but how can I not mention Him on this amazing day if I believe in Him?! If you don’t, that is your choice and I do not judge you by your choice, but all in the same do not judge me because I do love and believe in Him. This is just my opportunity to say it to the world and I’m not ashamed to do so! That pretty much sums up my feelings for today, but of course I have to post some photos from a recent Panama City Beach Photography Session. Michelle contacted me back in February wanting to book a family session in March while ALL of her family was in town visiting. We all met on a breezy and cool Sunday morning and had a wonderful time together on Panama City Beach. They are one large and blessed family and I was thrilled that they wanted me to capture their special day together with 4 generations! I only wish all families had this kind of opportunity to be together for a weekend and share their love and company with one another! Friends, we all have them, or at least I hope you do! This past Sunday I was blessed to celebrate 45 years of living and did it with some of my close friends. I am SO very thankful for the friends I have made during these past 45 years. Some were made through school, some through church, others through my career as a real estate agent and now I’m making friends as a professional photographer. Thankfully some are still very close friends, but as we know life moves on sometimes and you loose friendships that you wish would last forever. So speaking of friendships that brings me to the real reason for this blog post. I had the opportunity to photograph 3 very best of friends on Panama City Beach recently. One of these gorgeous ladies I already knew and she called me to set up a Panama City Beach Photography Shoot for the 3 of them while they were here visiting. I met them on somewhat of a breezy afternoon at St. Andrews State Park on Panama City Beach! We had a blast during their photo session. These ladies are all amazing with families and careers, but make a point to spend time together every year, even though they do not live close to each other. I think that is wonderful and I was so happy to photograph Gayla, Kimberly and Barbara’s gorgeous smiles while they were having fun on Panama City Beach at sunset. Oh, and while still on the topic of friendship, tonight I am meeting one of my own best friends from Fort Payne High School on Panama City Beach to have dinner with her. She is here on Spring Break and sent me a Facebook message last week saying she wanted to get together while she was here. That really means a lot to me, as she only has a few days in our paradise, but is taking the time to spend time with an old friend! It is going to be just she and I catching up on the past 26 years since we left high school. I can’t wait to see my friend Lisa and hopefully watch one of our beautiful sunsets with her on Panama City Beach! The realization that I’m a Professional Photographer in Panama City and Panama City Beach is finally starting to sink in. It’s funny how you just don’t think of yourself that way…that it’s an actual job…because I’m loving what I do. 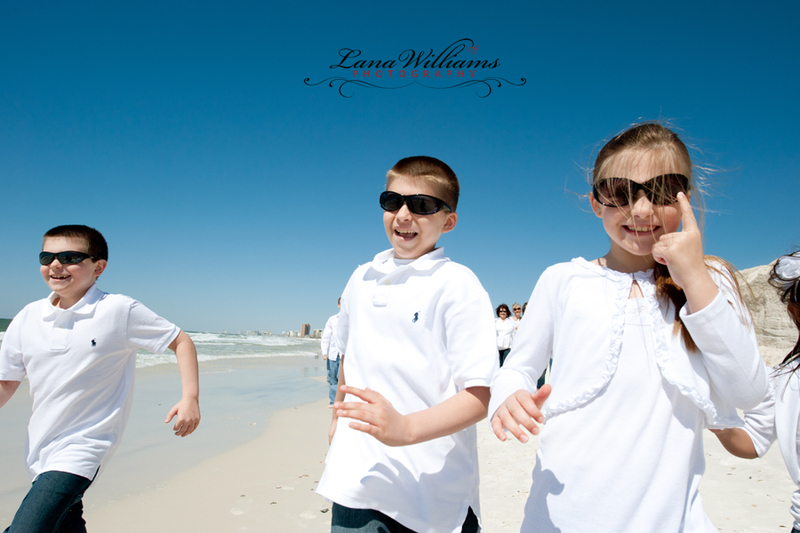 I DO absolutely love being a Photographer in Panama City and Panama City Beach! Another cool thing about my job is I get to work on some of the most gorgeous beaches in all of Florida. Spring break is just around the corner and Panama City Beach Photography will be in full swing with families coming into town for their mini-vacations. 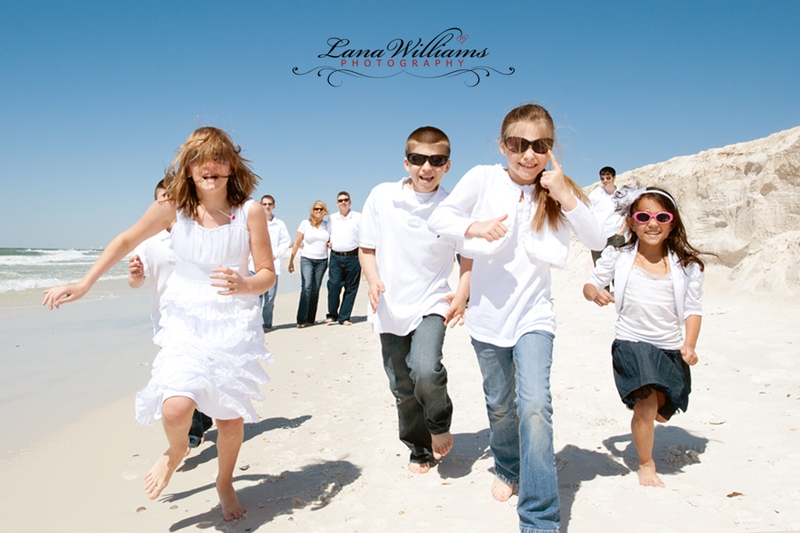 Just today I had 3 inquiries for Panama City Beach Photography! Okay, so I digress, this blog post is about Baby Zachary’s photo session, not Panama City Beach Photography, lol. Baby Zachary was the perfect, newborn photographers, dream baby. He slept, we changed him, he slept, we put him in a basket, he slept….you get the picture. Big brother Ethan — now he wasn’t so sure about all of this fuss over his new little brother, but he was okay after Mom and Dad gave him a little treat of M&M’s. I’m really happy with how these photos turned out in my Panama City Photography Studio and look forward to my next newborn baby photography session! Happy Valentines Day! Today is special, not just because it is Valentines Day, but it is also my husband’s birthday. Happy Birthday Sweetie! So what does Valentines Day mean to you? For me it is a time to reflect on those people that I love most. Yes, I know, we should not have to have a day set aside to make us do that, but none the less it does. How many people out there just wish they had someone to love or loved them back? When it’s all said and done, isn’t that what the majority of people want, to be LOVED! One thing we know for sure is money cannot buy you love! Love is what makes us want to get out of bed in the morning, love is what makes us smile, love is caring and sharing, LOVE JUST IS! So, if you have not told your special someones that you Love them today, don’t let the day get away without letting them know you love them. We are not promised tomorrow so take advantage of today! With all of that said, I wanted to include this photo I took just today at my Panama City Photography Studio of my Dad standing next to an old window frame that he labored hours on for one of my clients. The photos were taken of the Kradel Family right after Thanksgiving last year. Susan saw one of my window frames, here at my studio, when she came in for her proofing and feel in love with it! She choose her favorite 6 photos from the session and my Dad fixed up this frame for her photos. She will display it on an easel at her home and will be an heirloom to pass on to her children one day. Thank you Dad for all you do, you were my first Valentine and I’m still a Daddy’s Girl…..at 44, .
kris - Loved your blog about love! I would venture to say that almost everything we do is because we are needing love. Even if we are acting in not so nice a manner, its because we are needing love and maybe not feeling it..loved the frame that your dad made, it’s just beautiful! Because I love to do my own stuff, I am definately making one for me for pictures of those I love the mostest! Happy valentines day Lana!! 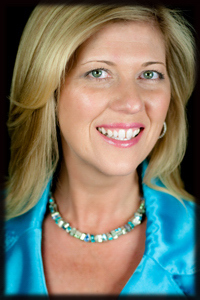 lana williams - Hey Kris, thank you so much for commenting! Love is what we all need most, isn’t it? Here is a sneak peek of Newborn Baby Zachary, who was exactly 1 week old on Saturday when I photographed him. He was such a bundle of joy, so sweet, and slept almost all the way through his Panama City Newborn Photography Session. His Mom Nikki had called me a few weeks earlier wanting to plan for his arrival. We chatted about when the best time to photograph him would be after he was born. Newborn babies usually photograph best within the first 10 days after birth, especially if you are wanting to mold them into positions they were accustomed to in the womb. Sometimes newborns do not want to go back into that position, but we always end up with some really great Newborn Photos that their moms LOVE. After a little bit of planning we decided a week after he was born would work best and I think it was perfect, just like him! Don’t you just want to take all of his sugar?! I know I did…..